Did you know that tooth decay is the second most common disease in the United? The first one is the common cold. In children, tooth decay is more prevalent than the common cold, affecting 42% of children age 2 to 11. It is five times more common than asthma and seven times more common than allergies. More than four million toddlers are affected by tooth decay. Early childhood cavities can cause pain, loss of teeth, head and neck infections, cavities later in life, impaired growth and weight gain, missed school days, speech problems and a poorer quality of life. Over 51 million hours of school are missed each years due to dental problems. Most people don’t realize that proper care of baby teeth is just as important as the permanent adult teeth. Baby teeth hold space in the jaws for permanent teeth that are developing under the gums. Children’s permanent teeth generally start coming in between the ages of 6 and 7. Preventive care can help to eliminate tooth decay. The American Dental Association and the American Academy of Pediatrics recommend bringing your child to the dentist as early as one years old for an oral health risk assessment. Regular dental checkups, including fluoride application can help avoid future problems. We know it’s not easy to get your kids excited to go see the dentist, but starting good habits at an early age can make those appointments much easier (and less frequent). At Cape May Dental Associates, we see children of all ages. Call us at (609) 884-5335 to set up an appointment with Dr. Ee to ensure your child has a lifetime of excellent oral health and great smiles! A person’s appearance and attitude can change dramatically simply by whitening his or her smile. Our smiles are one of the first features that other people notice about us, so it’s no surprise that our culture places so much importance on a perfectly white smile. Many studies and polls have proven that a nice smile not only aids in initiating personal relationships, but is important for excelling in the professional world. A whiter smile is commonly associated with youth, beauty, confidence and being healthy. Whitening is a safe, easily attainable, quick and a non invasive way to look younger and feel more confident. The outer layer of teeth is called enamel and the darker layer beneath the enamel is called dentin. As we age, enamel gets thinner and dentin becomes darker, so it’s inevitable for teeth to darken over time. Pores in the enamel can hold stains from certain foods, drinks and tobacco products. Some of these foods and drinks include coffee, tea, red wine, berries and beets and drinking or swishing with water after consuming these foods will help reduce surface stains. Unfortunately, some of the healthiest foods are ones that stain! Regular dental visits are not only important to keep teeth healthy for a lifetime, but regular cleanings remove many stains caused by the foods and drinks we love. To achieve the best whitening results, a cleaning and exam should be done and teeth should be restored if decayed or broken before the start of any treatments. From take-home to in-office treatments, there are so many different whitening options available to meet the desired results of almost anyone. Your dentist would be able to help decide which option is best for you. 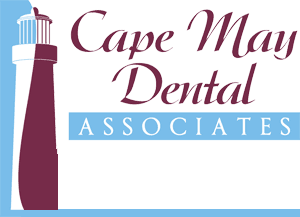 We at Cape May Dental Associates offer different whitening options to meet the specific needs and goals of our patients. Zoom!® is an in-office whitening procedure which only takes about an hour and perfect for anyone looking for immediate results. The procedure is simple and begins with a short preparation to cover the patient’s lips and gums, leaving only the teeth exposed. The whitening gel is then applied and is used with a specially designed light, which works with the gel to break up stains and discoloration. Zoom! ® is safe, fast and convenient for anyone with a busy schedule. Looking younger and feeling confident is safe and easy for almost anyone to achieve with the help of whitening. Please call (609) 884-5335 or find us on Facebook for any questions regarding whitening or other dental procedures. Social Costs – Dentures can move, click while eating and talking and trap food. Imagine being in a social situation and your denture won’t stay in place. Convenience Costs – Dentures can’t be cleaned the same way as natural teeth. They need to be removed to clean, soaked overnight and then rinsed and placed back in your mouth. All this needs to be done carefully, as you don’t want to drop them and risk breaking them. Health Costs – Dentures are not a replacement for teeth. They are a replacement for “no teeth”. Your jaw was meant to have teeth. Without them, the jaw begins to lose bone, changing the shape of your face and weakening your jawbone. When this occurs, dentures will become very uncomfortable (or sometimes impossible) to wear. Eating many foods will become impossible because dentures do not function like your natural teeth when chewing. Dental Costs – If still have some natural teeth and have dentures to replace missing teeth, the denture can cause damage to your existing teeth. Since the anchors to existing teeth, it will cause stress on those teeth every time that you eat. This stress will eventually damage those teeth and lead to additional tooth loss. So, if you don’t want to pay the true cost of dentures, implants are a great alternative. Over the long term, implants are comparable in financial costs. In terms of the other costs, dental implants are a superior option. Implants are part of your jawbone and can prevent bone loss. They are brushed and flossed like natural teeth. They have the appearance and feel of natural teeth. The advances in implant dentistry have made it possible for people with missing teeth to confidently speak, enjoy their favorite foods and function as they would with natural teeth; they do not slip or click when talking, laughing or eating. Could dental implants be right for you? Cape May Dental Associates welcomes new patients and is always happy to answer any questions about your dental health. 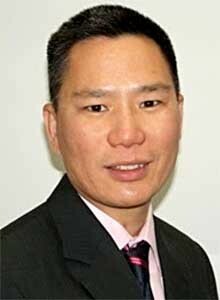 As an Associate Fellow with the AAID, Dr. Ee can answer any questions or concerns that you have about dental implants. Call us at (609) 884-5335 today for more information!